How are those Krank mini-stacks? Sounds intriguing. 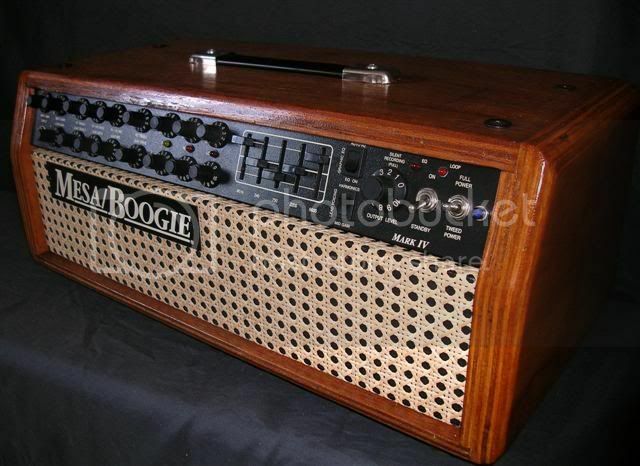 I thought about getting one for a practice amp for at home. You don't have clips do you? Those are the two that get used the most. I have a Fender HRD 4x10 and a Valveking. WOW!Beautiful Mark IV.What wood is that?How much that Custom Mark IV cost you? Looks sweet without the logos.